Thies, Sebastian, and Josef Raab, eds. E Pluribus Unum? 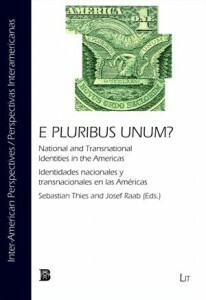 : National and Transnational Identities in the Americas/Identidades nacionales y transnacionales en las Américas. Inter-American Perspecties/Perspectivas Interamericanas vol. 1. Münster: LIT Verlag and Tempe: Bilingual P, 2009. This entry was posted in English, Espanol, Recent IAS Books. Bookmark the permalink.